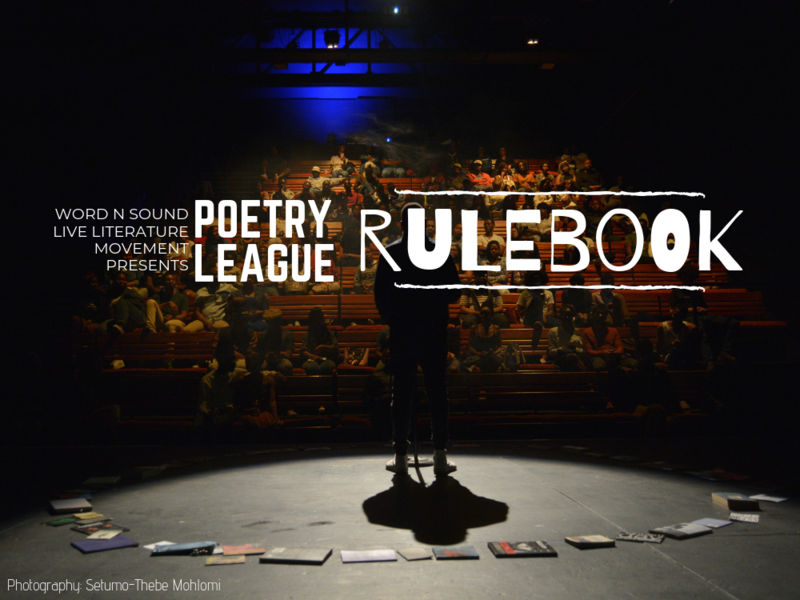 As we get ready for yet another mind-blowing season of the Word N Sound Poetry League, it’s a good idea to brush up on the rules so there are no nasty surprises and penalties. There is only one official sign-up sheet and it only becomes available at 9 am on the morning of the League. Poets have been known to arrive as early as 6 am to reserve their spot but please note, you have to wait until the official list arrives at 9 am to register. No unofficial lists will be considered. To participate in the League you must sign-up in person on the day of the League. There is an option to sign up online should you have security concerns or be traveling from far. Please read this to find out how it works. The Top 5 from the previous month’s league are automatically entered onto the line-up for the next month and do not have to sign-up on the day. Once you get there stay until the list goes up as no place holding is allowed. A reserve list of 5 spots will be kept in the instance where someone decides to pull out of the League or if any of the previous months Top 5 are unable to make it for whatever reason. Penalty: Failure to adhere to this rule will result in you not performing on the day. 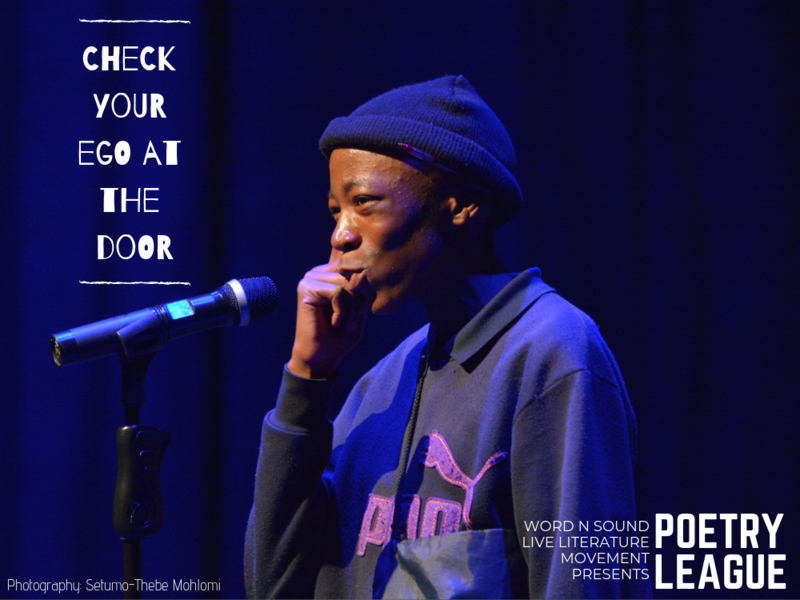 Bring a new poem each time you participate in the #PoetryLeague. One of the main purposes of this platform is to challenge participants to write consistently over 8 months. 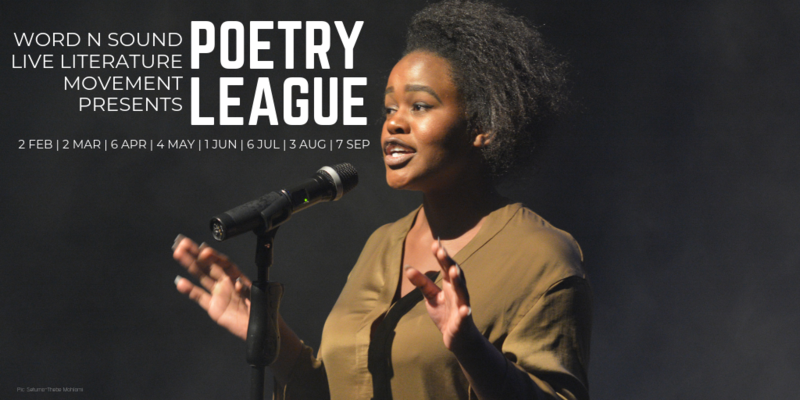 If you participate in every episode, you will end up with 8 new quality poems to add to your performance repertoire which have been tried and tested on the toughest poetry performance stage in the country. No do overs are allowed. A reworked/revised version of a poem you have previously performed in the Poetry League is not considered a new poem. 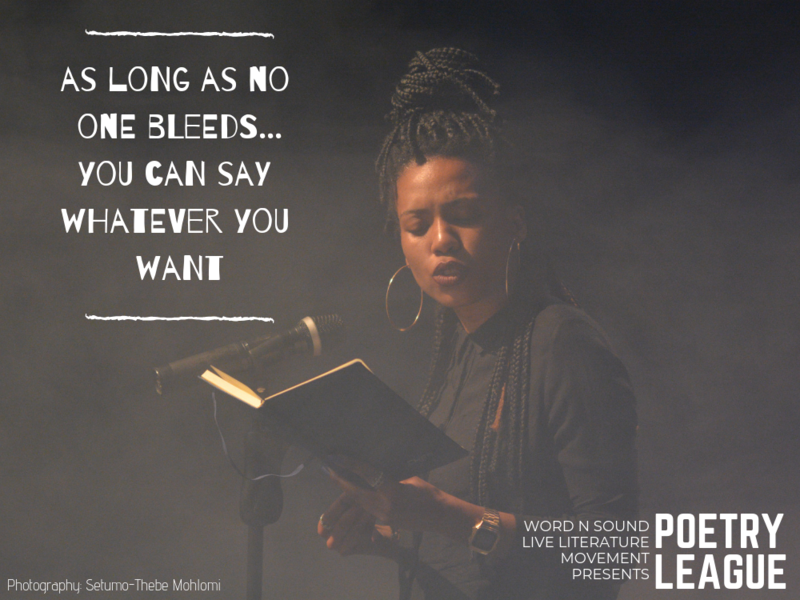 So make sure that when you bring a poem to the Poetry League you are absolutely certain that you and your brand new poem are ready. 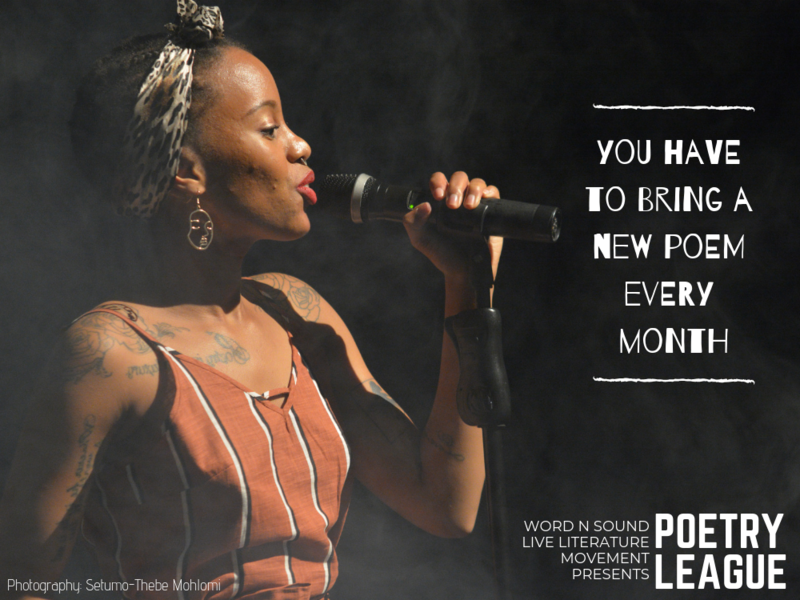 If you wish to test your new poems, feel free to join us every first and last Wednesday for the Word N Sound Poetry Corner Open Mic Nights at Outie Bakery & Café in Newtown at 7pm. Penalty: Failure to adhere to this rule will result in a disqualification. You will lose all points awarded on that day. Your time on stage starts the minute you step on stage or start your performance. Your time on stage applies to every element related to your performance. Meaning if you have a backing track, video, backing dancers, or support performers (i.e. anything you use to aid the presentation of your poem);your time on stage will include all of this. After 5 minutes 20 points will be deducted from your overall score. After 6 minutes 50 points will be deducted from your overall score. The Poetry League is a competition. The stakes are high! The judges and audience are not always forgiving. If you cannot handle honest criticism, then stay in your bedroom until you’re ready. Or come to the Word N Sound #PoetryCorner for a judgement free environment. Penalty: Failure to adhere to this rule may result in a bruised ego. As long as no one bleeds, anything goes. As a platform for the manifestation of Article 16 of the South African Constitution, we encourage Freedom Of Speech and the responsible use of that right as entrenched in our Constitution. 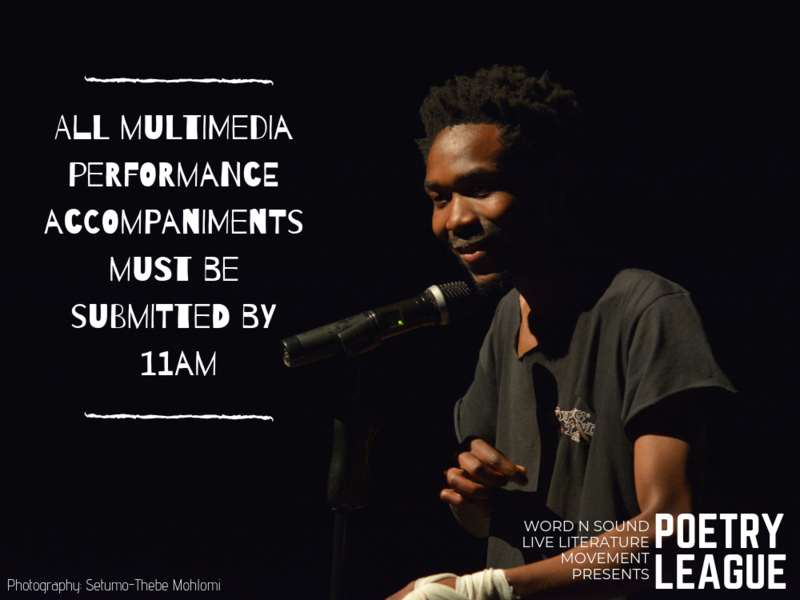 All multimedia performance accompaniments must be submitted by 11am. If you are performing with a backing track, video or photo slide show, this media must be submitted to the relevant Word N Sound official no later than 11 am on the day of performance. All multimedia performance accompaniments must be indicated on the official sign-up sheet. 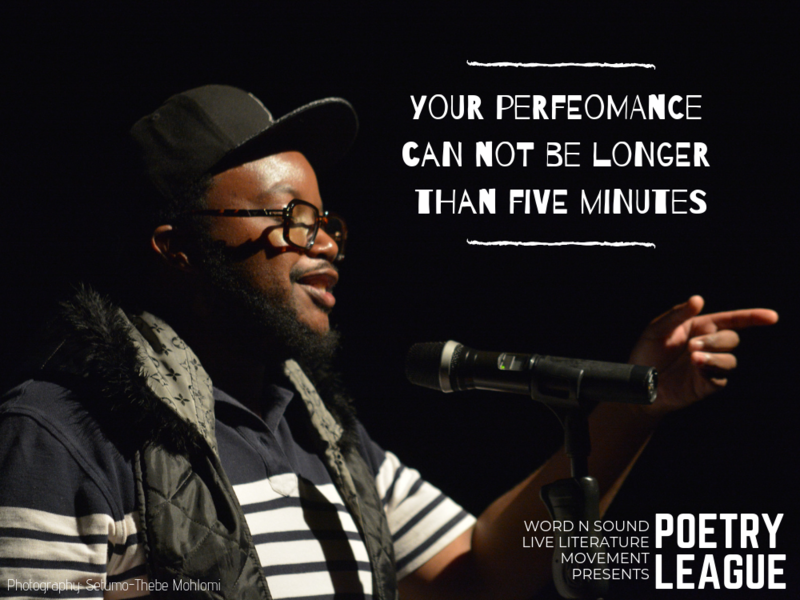 As a participant in the Word N Sound Poetry League we expect you to read, understand and adhere to these rules. 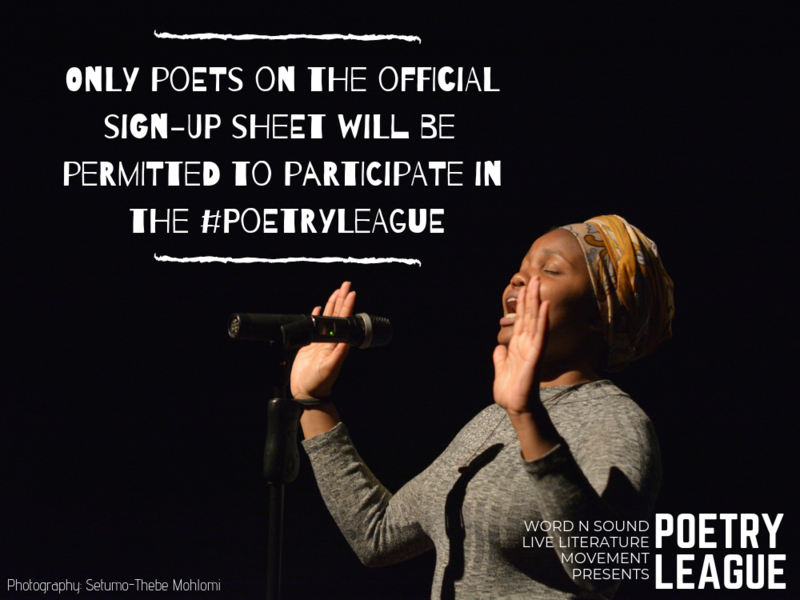 If and when you decide to participate in the Word N Sound Poetry League, we wish you all the best!